North West crane hire specialist John Sutch has engineered it brightest move of the year, hoisting into place Europe’s biggest walk in Christmas tree. The huge tree, standing as tall as seven buses, at Cheshire Oaks shopping centre is now in place and ready for the official lights switch on the 8th November. This is the 10th year running the firm has managed the lift on behalf of the well-known outlet village using its Liebherr 70t crane to conduct the lift. 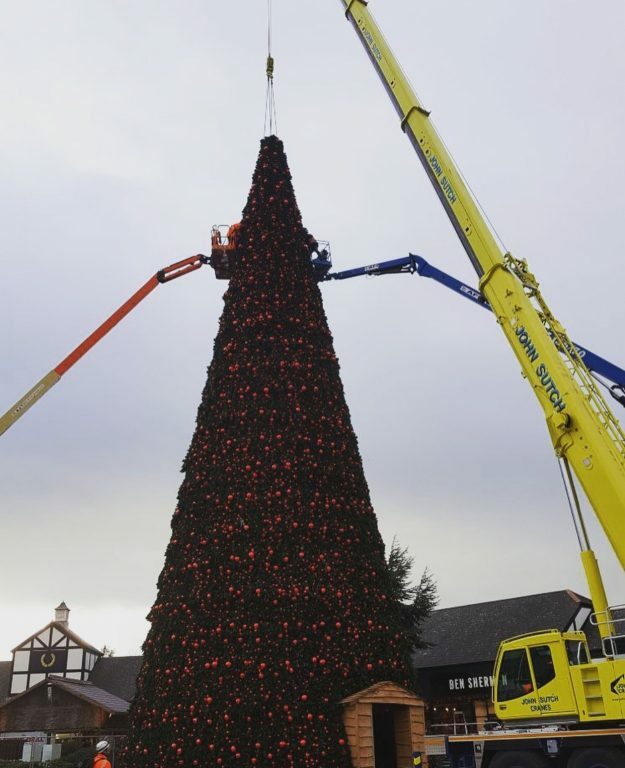 Hayley Sutch, MD Designate of John Sutch Cranes explained: “We have been commissioned for several years by Cheshire Oaks to support them with their Christmas tree. For us it’s a fairly straight forward lift and we follow the same process each year, we lift each section individually and allow an assisting company to assemble each piece.